Ryder will produce a superb attractive green colour to all sports turf, whilst protecting plants from harmful UV rays. The long lasting colour intensity can be tailored by application rate and frequency. 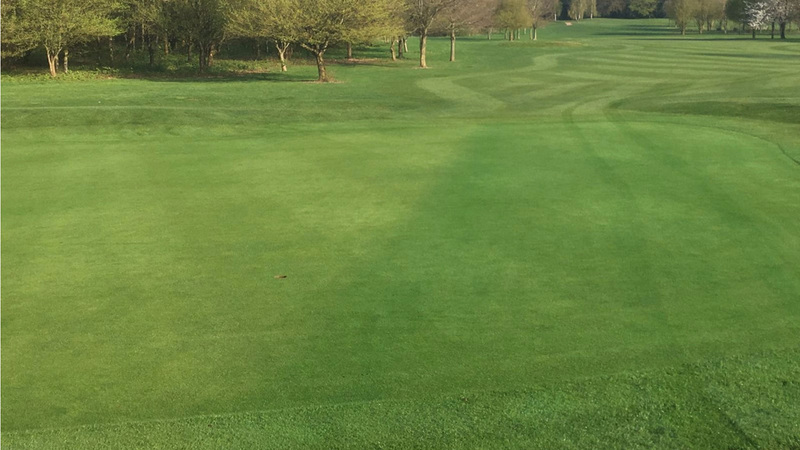 New Ryder turf pigment technology from Syngenta offers the chance to instantly enhance the colour and visual appearance of turf, along with exciting properties to protect leaves from the harmful effects of excessive sunlight. Not all energy emitted by the sun is useful for turf grass growth. In fact, some of this energy can be actually harmful to the plant – effectively causing damaging sunburn to plant cells. Ryder enables plants to manage light more effectively, and to make light work more efficiently for turf. 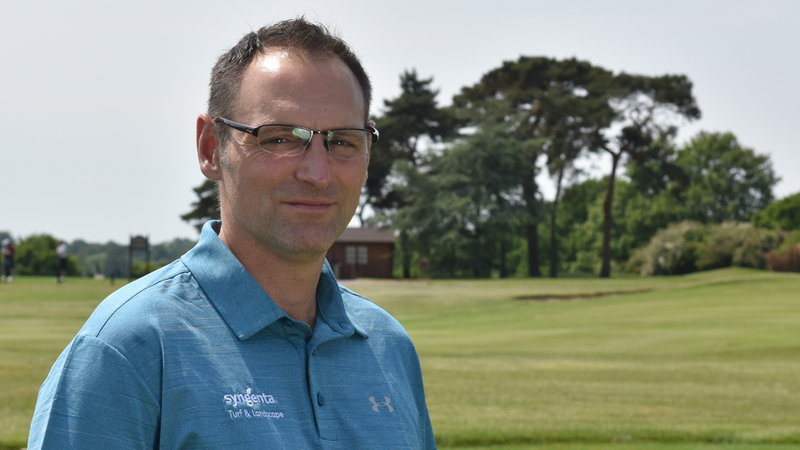 Launching the new Ryder pigment, Syngenta UK Turf Technical Manager, Glenn Kirby, highlighted trials and greenkeepers’ experiences had demonstrated the instant visual effect to produce a lasting deep, desirable green colour, along with lasting effects to counter damaging light waves. 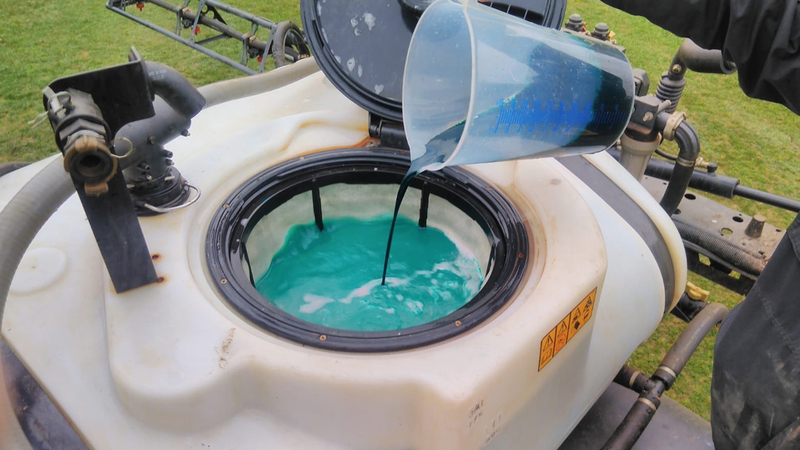 “Ryder is a highly concentrated and stable green pigment designed for use on managed turf to improve its appearance and to help protect against UV radiation and high light intensities” he said. 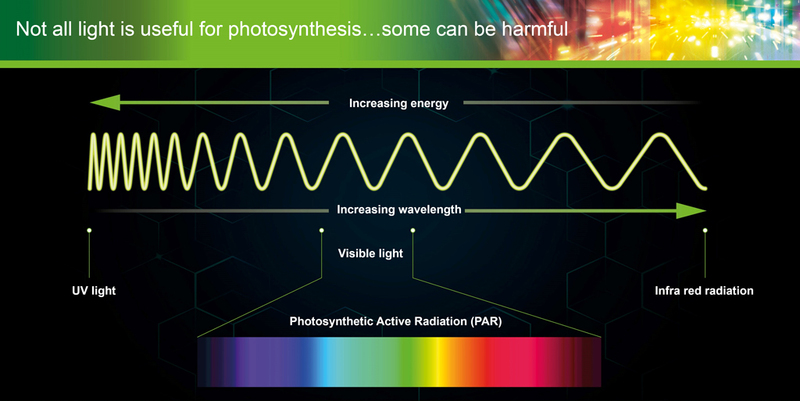 “Photosynthetic Active Radiation (PAR), includes all the ‘colours’ of the light spectrum, of which turf plants use blue and red light most efficiently to support growth and development. Glenn pointed out that cool season grasses typically reach saturation point at light intensities of just 300 to 500 micromoles. However on a summer day, sunlight could reach in excess of 2000 micromoles – bombarding plants with up to four times more light than they can physically use. In winter, when plants are growing more slowly, the light saturation point could be as low as 100 micromoles, when they are subjected to 1000 micromoles being produced on a bright day. “Plants that are already stressed, from nutrient or water deficiency or physical damage from mowing, for example, would be more susceptible to increased stress from photo-inhibition,” he added. The intensity of colour produced by Ryder can be selected through adjustments to application rate, frequency and integrated fertiliser programmes, he advocated. Glenn (below) advised that the instant colour it provides can act as a spray pattern indicator in itself, especially at higher rates or on turf inherently paler at the time of application. For even coverage, he recommended always applying using Syngenta XC Nozzles. 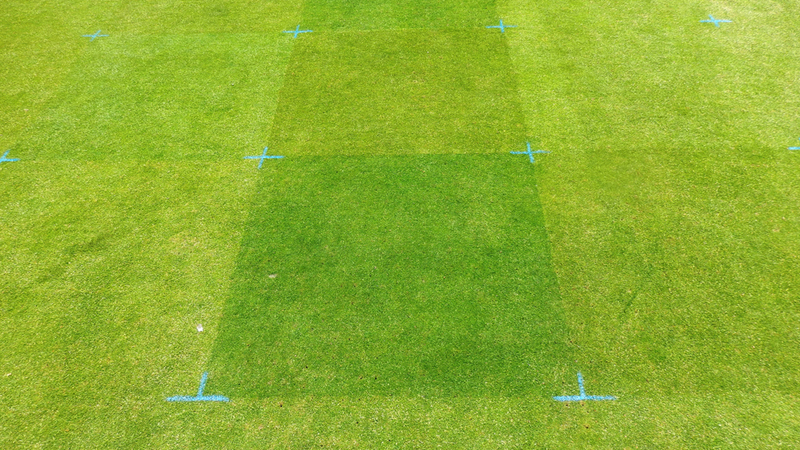 STRI trials had shown a water volume of 250 – 500 litres/ha provided effective leaf surface coverage. Extensive user trials in the UK this spring had demonstrated Ryder could bring an important benefit to all areas of the golf course, along with other sports surfaces, including cricket fields and winter sports pitches. “Over winter and early spring, the Ryder colour quickly gets turf looking great and ready for play. The enhanced colour of treated turf can increase canopy temperature and initiate spring recovery,” advised Glenn. Over the summer, he advocated Ryder will help provide protection against high light intensities and UV light, and stay looking green where desired. Maintaining programmes through the autumn would retain turf appearance and colour for longer. Ryder application rates at cutting heights below 12 mm - eg. 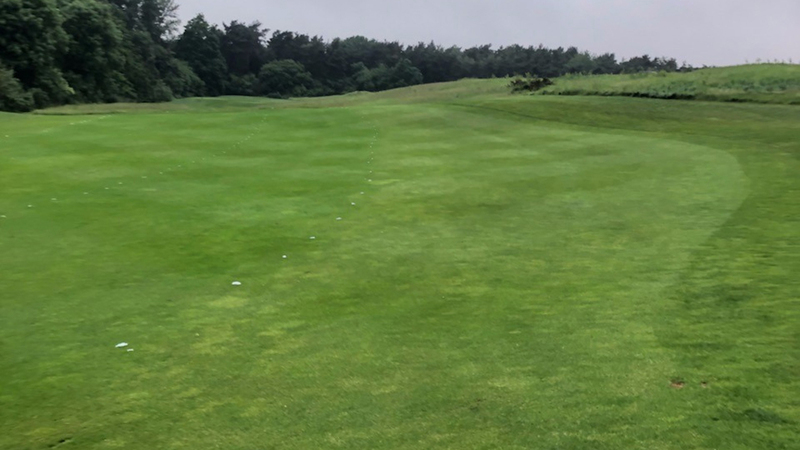 greens, tees and cricket fields - have typically been at 0.75 to 1.5 l/ha, increasing to 1.0 to 2.0 l/ha on longer fairway turf or sports fields, for example (above fairway with Ryder treatment - left - and, below, treated green - right - providiing consistant attractive colour). Users have experimented with application rate and frequency to find a colour intensity most attractive to their own situation. When used in conjunction with a Primo Maxx II programme, the reduced clippings removal from mowing would increase the longevity of Ryder results during growing periods, added Mr Kirby. Ryder will be available from ICL and all leading distributors from this summer. For more information on where and how to buy Ryder, visit the ICL website.